Settings is where your senangPay subscription info and profile setting page. Under the Settings menu, there are 2 submenu. 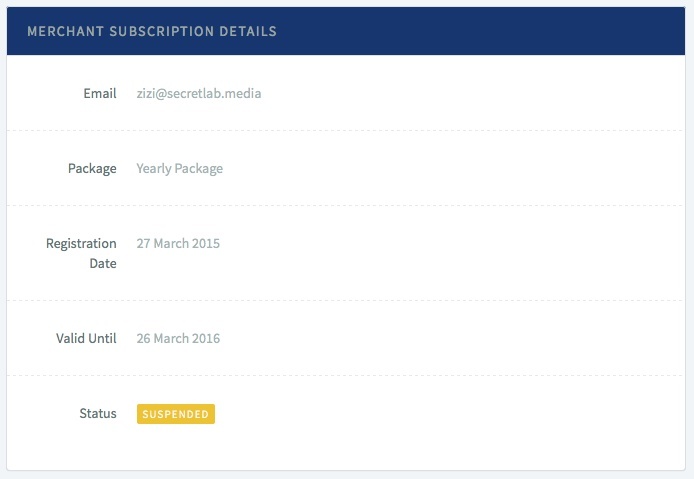 This will displayed all the related subscription information. The detail part of this profile will be elaborate throughout the guide for detail understanding. But as for first glimpse, you can see the detail page below.